The Next Great TV Detective...? For classic mystery fans, the TV landscape is looking particularly barren nowadays. Well, in my view, with the end of the series Monk, television is suddenly without any classic, clue-based mystery character. 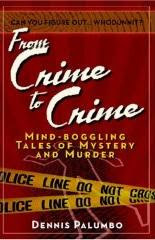 What I'm talking about is the kind of signature protagonist, long a cherished staple in mystery fiction, who approaches crime-solving with a unique personal style, and who eschews forensics and fisticuffs in favor of utilizing what Poirot called his "little gray cells." You know the kinds of character I'm talking about. The legendary writers Levinson and Link created two of them: Columbo and Jessica Fletcher, the heroine of Murder, She Wrote. In the late 1950's, all the way through the 70's and 80's, the most unique crime-solvers on TV were private detectives: from Richard Diamond and Honey West to Harry Orwell and Charlie's Angels; from Peter Gunn and Mike Hammer to Thomas Magnum and Jim Rockford. And of course, thanks to PBS (and its importation of British series), we've been graced with such print-to-TV characters as Agatha Christie's Miss Marple and the above-mentioned Hercule Poirot, as well as Sherlock Holmes, Inspector Morse, and Inspector Barnaby of Midsummer Murders. As these last two series demonstrate, even those who work in an official capacity (as police detectives) can possess the unique characteristics we associate with the best amateur or private sleuths. Think of Helen Mirren's Jane Tennison in Prime Suspect. Or Michael Gambon as Inspector Maigret. Or Raymond Burr as Ironside. But now, as we bid good-by to Adrian Monk, is there any detective, pro or amateur, to replace him? Maybe we should consider Thomas Jane, The Mentalist, or Brenda Johnson of The Closer. Possibly. But I'm on the fence. In fact, the only character I can think of who meets the criteria we've been discussing isn't a detective at all: Dr. Gregory House. Though he does indeed solve medical mysteries, and his creator, David Shore, has tweaked the audience throughout the series with his misanthropic character's uncanny resemblance to Sherlock Holmes. Where Holmes had Watson, House has Wilson. House's apartment address is 221 B (same as Holmes' address on Baker Street). And on one episode, Wilson plays a prank on the hospital's young doctors by explaining that House once had his heart broken by a singular woman...named Irene Adler. So. Do we need another new, 21st Century TV detective? And who should it be? Michael Connelly's Harry Bosch? Patricia Cornwell's Kay Scarpetta? Or someone created specifically for the small screen?